Raisin Bread Inspired. 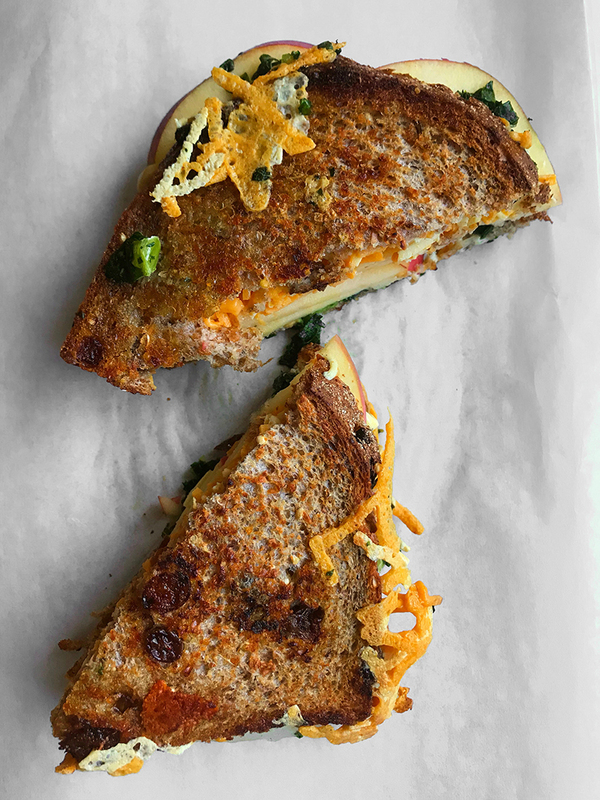 Last week I was reading one of my favorite blogs Cup of Jo, and she had posted a melted cheese sandwich on raisin bread. I was inspired! 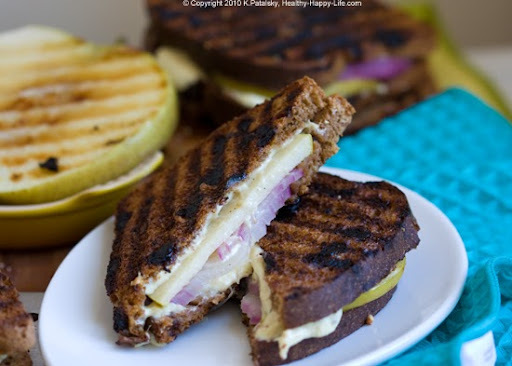 I actually re-made my cheese/apple/onion sandwiches on raisin bread and fell in love. Jo got the idea from the She Eats Bears blog. So great ideas seem to spread like wildfire on the internet. 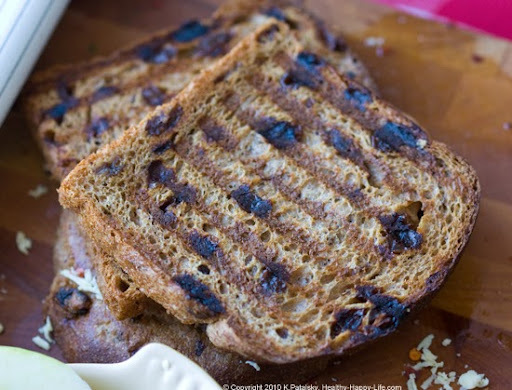 Paninis using raisin bread...genius! 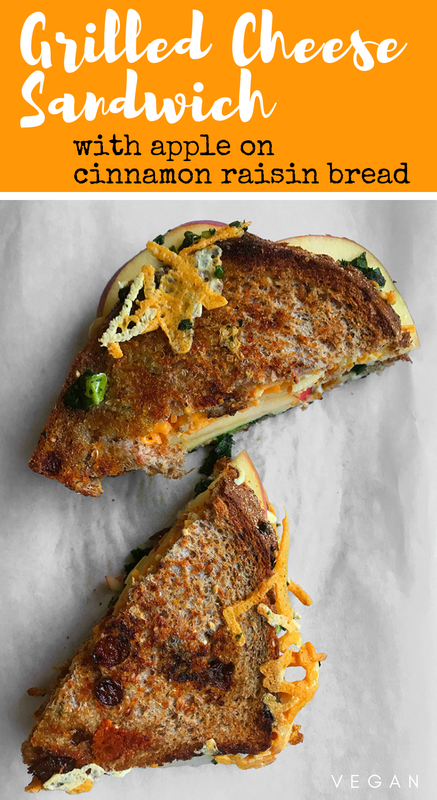 This savory and sweet, fall grilled cheese sandwich pairs vegan cheese with sweet fall apples, all on hearty cinnamon-raisin bread. 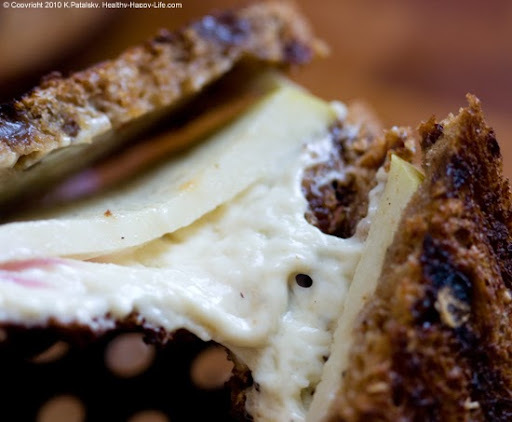 Spread vegan butter on bread - about one teaspoon per slice. The buttered sides will face outward - and hit the pan. Warm a skillet over high heat. Add olive oil. 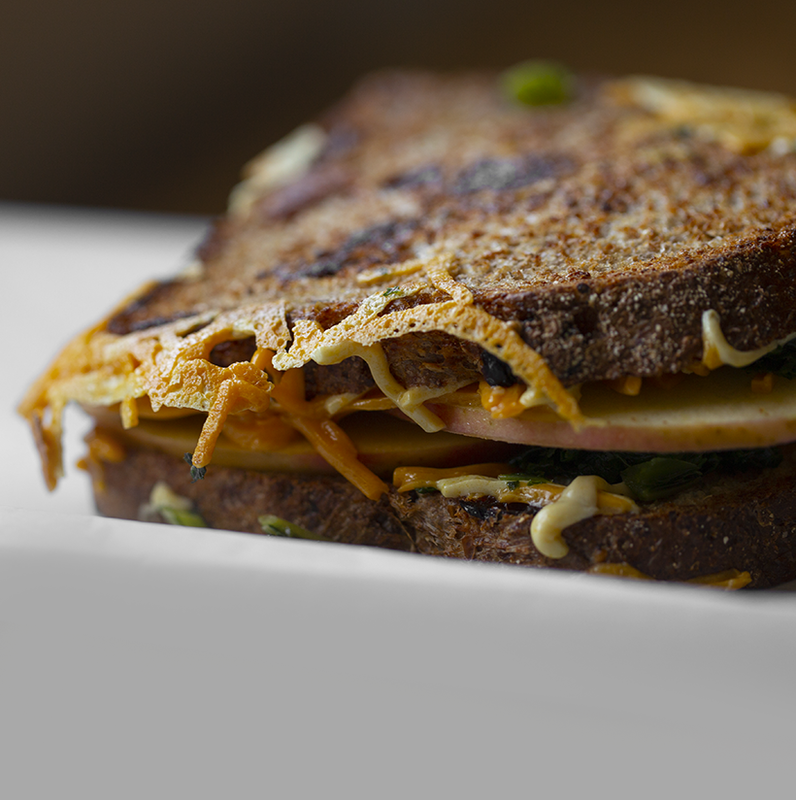 Note: You could also skip the skillet and just use a panini press, as I did when I first made this back in 2010. Both versions are delicious! Place one piece of bread - butter side down - in the skillet. 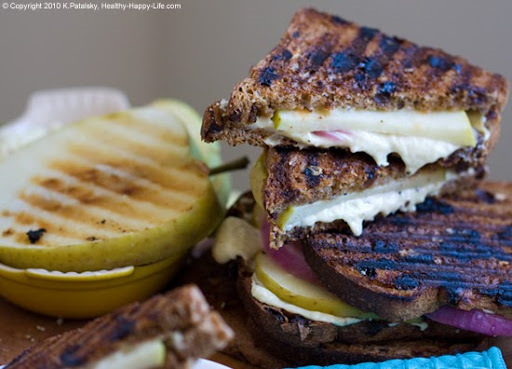 Also place the apple (and optional onion slices) in the skillet for about a minute, just to warm and soften them a bit, before loading them in the sandwich. 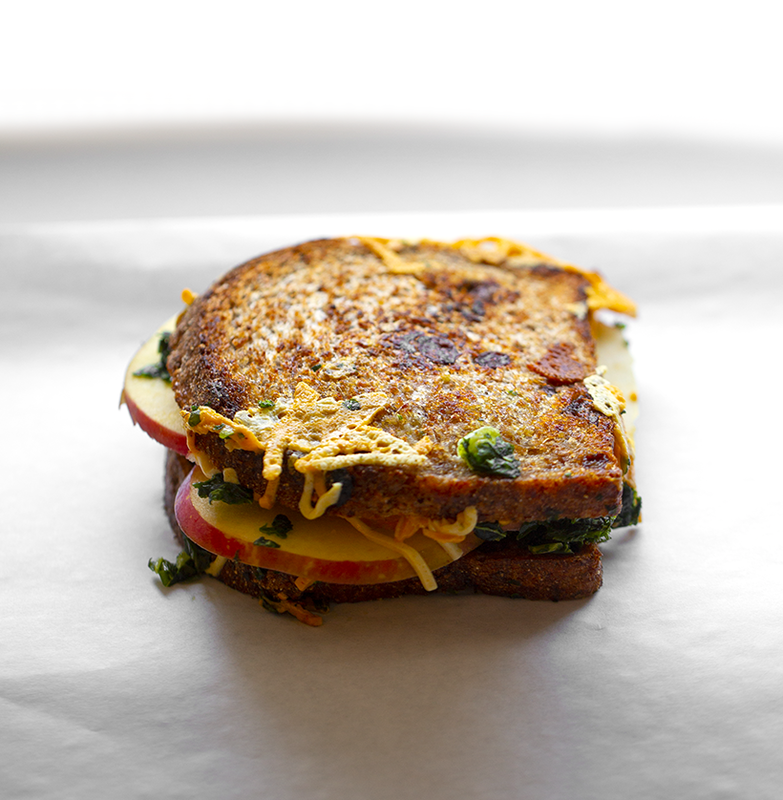 Add the cheese and apple (and optional spinach and onion) over top. Cover the pan with a lid and wait for the cheese to melt just enough to become soft and sticky. If you need help melting the cheese, try adding a small ice cube to the pan before covering with lid. Lift the lid and add the top slice of bread. 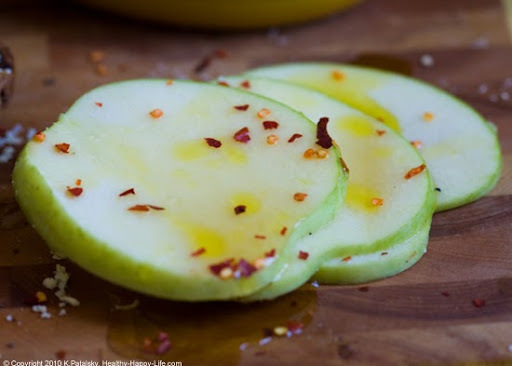 Tip: Position the apple slices so that they are in between a thin layer of cheese. This helps the bread to 'stick' to the cheese on both sides. 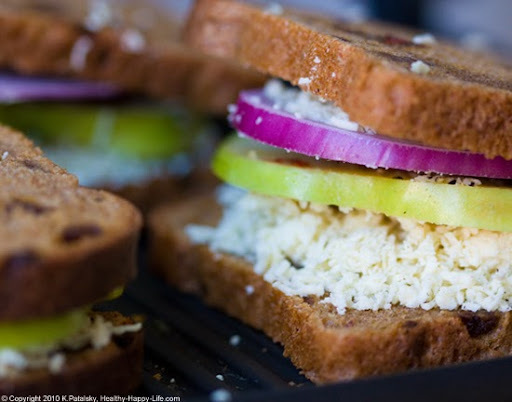 With oth bread slices in the pan, flip the sandwich. Allow to cook on the other side for 2-3 minutes, or until nice and toasty. 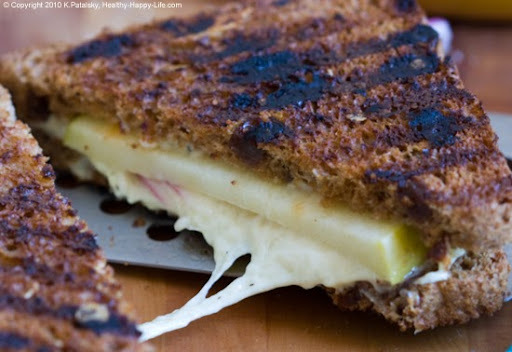 Both sides of the bread should be browned and the cheese melted when your sandwich is done. 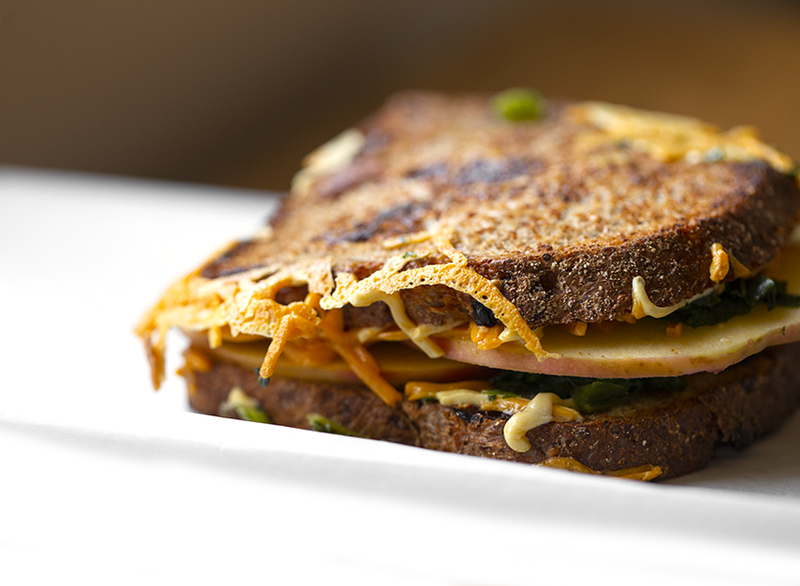 turn off heat and let the sandwich cool in the pan for a few minutes before slicing and serving. 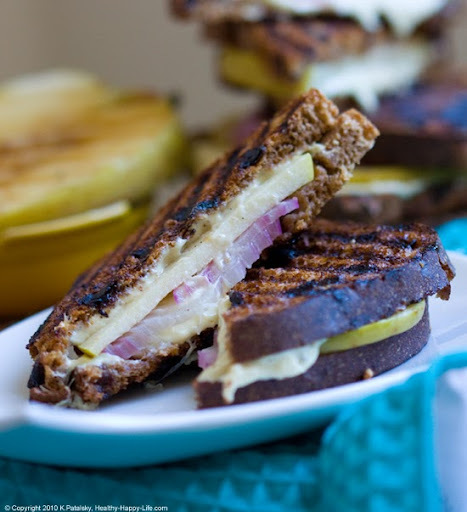 Note: You can use a panini press or a basic saute pan - or if you're really fancy, you can use a BBQ and give the burgers something to ogle at.